An illustration first produced by primary research in collaboration with The University of Birmingham and subsequently published in several papers. 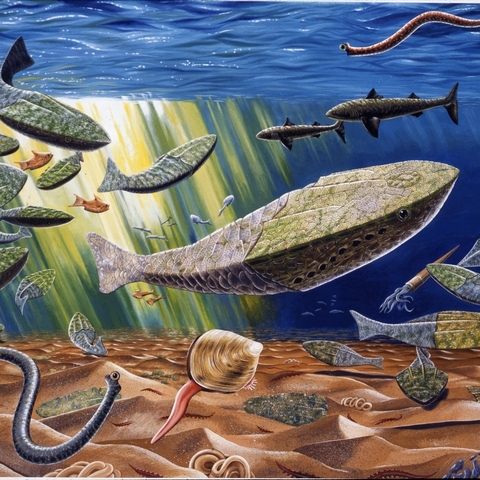 It depicts an original interpretation of an ancient (500mya) marinescape with an original visual reconstruction of the first fish known to evolve. It featured in press publications and was central to the 'Focus on Nature' internationally judged Exhibition of Natural Science Illustration at the State Museum of New York in Albany 2004.